Calculate your price by creating your package! Click here to read all the license information. griptools.io can be used in many fields of application. Most people will not use all options. That’s why we have paid much attention to make the purchase process as flexible as possible. 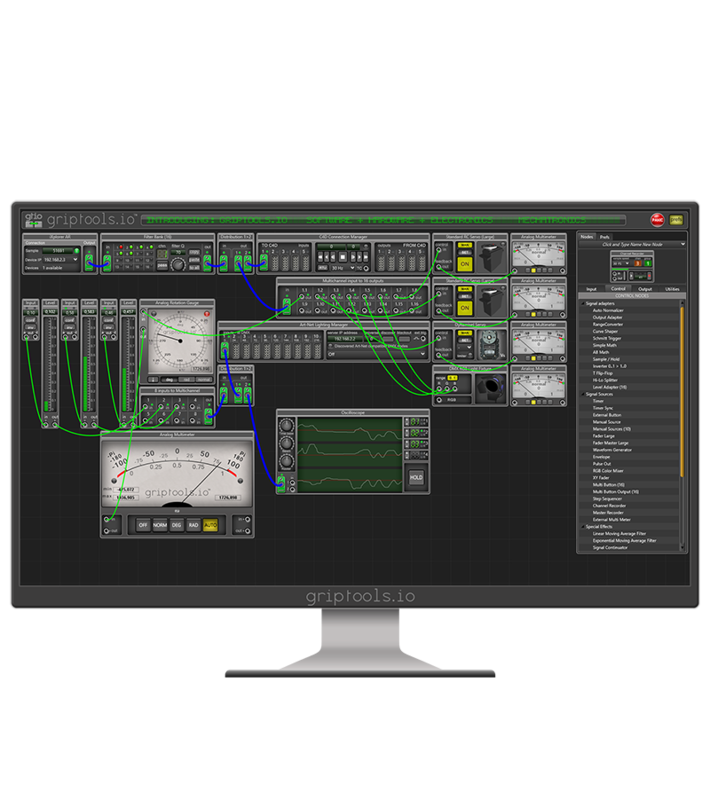 When you decide to purchase griptools.io, you’ll get the application itself, including all utilities and services, like the file system, the node management, the wiring system and the help system. Click here for an overview of what's included by default. Then you can select the nodes you want for your application. The nodes are collected in comparable groups; Input, output, filtering, visualization, etc. This ensures that you get what you need for your budget. That’s the minimum setup. The in-between nodes to connect the MIDI data to the C4D node are included by default. However, if you want to change/adapt the MIDI signals before sending to C4D you will need more nodes. Maybe you want the signal levels changed. Input channel values are in the default range of 0..1. If you want to change these to rotation values (-π .. +π) you will need the ‘Output Adapter’ node (in the Signal Adapter pack). 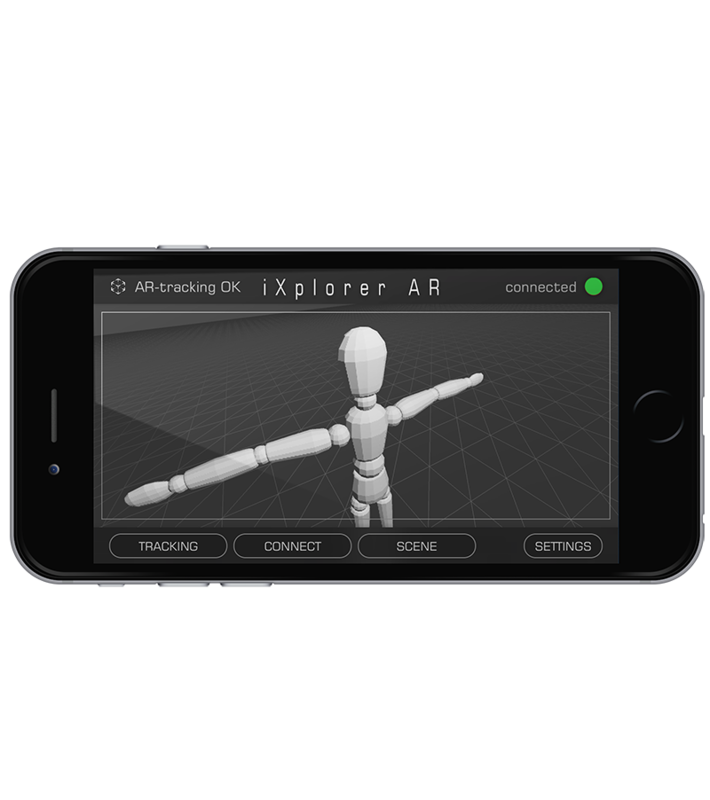 If you want to add ‘smoothing’ you will need the Filtering nodes package. Please check out the help system- griptools.io application Menu->Help->Online Help -for detailed descriptions of all nodes available. The node converting multi-connectors to single-outputs and vice versa. The number "seat count" means the number of computers on which you can run griptools.io simultaniously. Even if you have 1 seat, you can still install griptools.io on multiple computers (including Windows/macOS mixed), however with one seat you can only use it on one system at a time (by signing in/out in the application). During your first order, you can select any node (or node package) combination you like. You can also add nodes at a later time after your initial purchase. During the first year after your initial order, you can download the latest versions (and order new nodes). After this period you can still use your griptools.io indefinately, but you will have to renew your license to re-obtain the download rights. 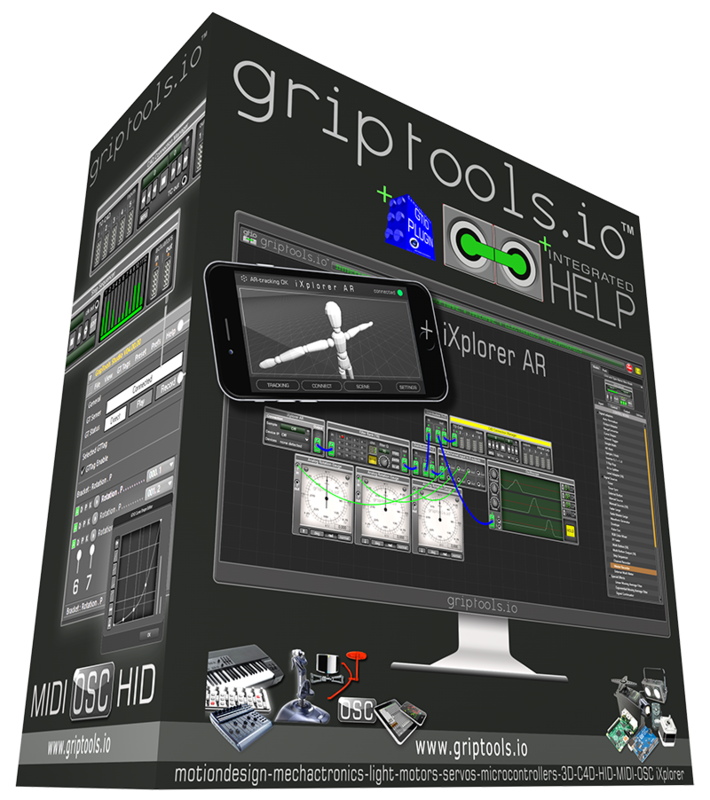 Customers owning the now obsolete "Camera GripTools" (the C4D plugin) can profit from a 20% discount when upgrading to griptools.io. Contact us to request a personal discount coupon before you order. You can select the seat count during your first order, but you can also order extra seats later. Attendees or educators of an accredited university, college or education institution. You need to provide a valid copy of academic identification as proof of the previous. The Educational discount only applies to the first seat (quantity number) in an order and is intended for 1 (one) private owned and operated computer. The discount is 50% off your package price. To request the eduational discount contact us here.